“Ugly but tasty” is how a former student described today’s recipe. And it’s kind of stuck so is what I now call them. 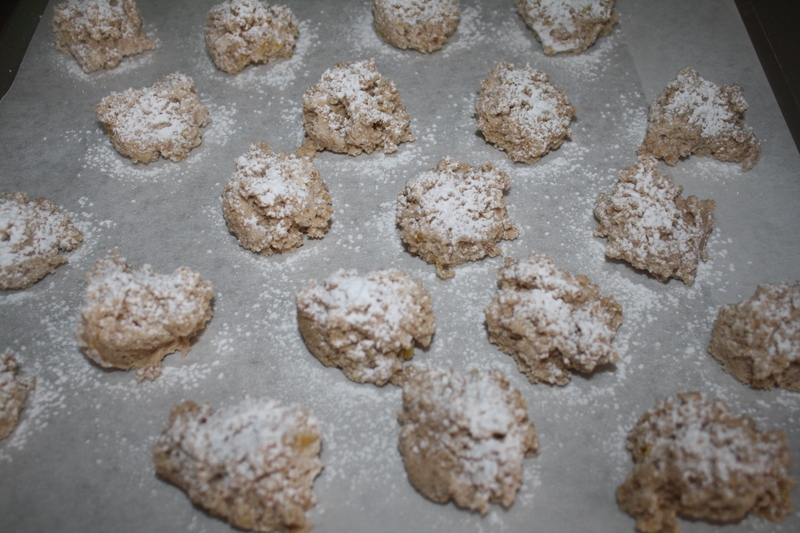 These amaretti biscuits aren’t going win any best looking bikkie competitions at the local fete, but they taste amazing. Even better when dunked into a strong coffee or with a spot of vin santo. 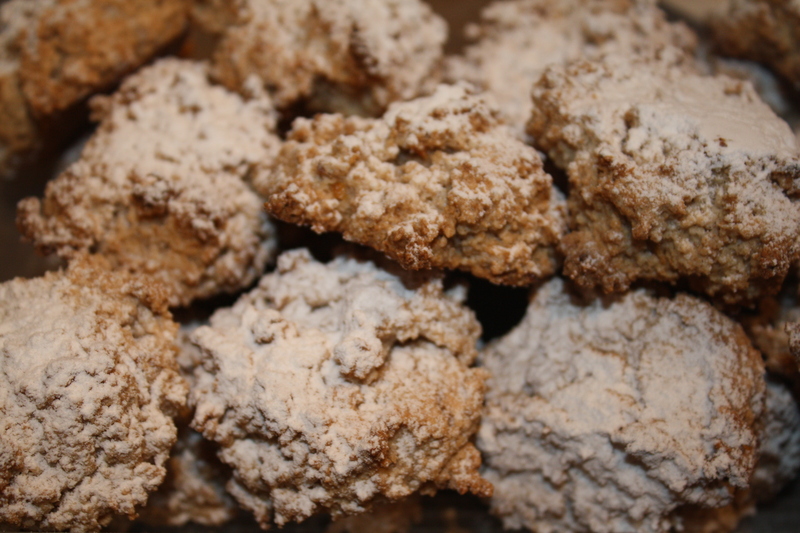 Translated, amaretti morbidi means soft almond biscuits. They are slightly hard on the outside, but all almondy softness on the inside. And one is never enough. These make a tasty Christmas gift as they last for a little while if you keep them very airtight. You can buy them in food emporiums, luxuriously wrapped individually. Or, you do it yourself using this recipe – and, of course, they’ll taste loads better when you do. 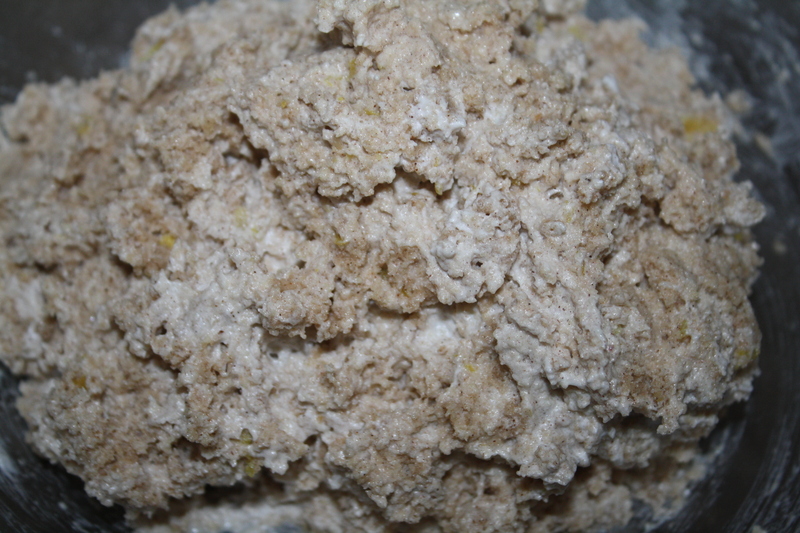 Sift flour, cornflour, ground almonds, cinnamon and half of the caster sugar into a large bowl. 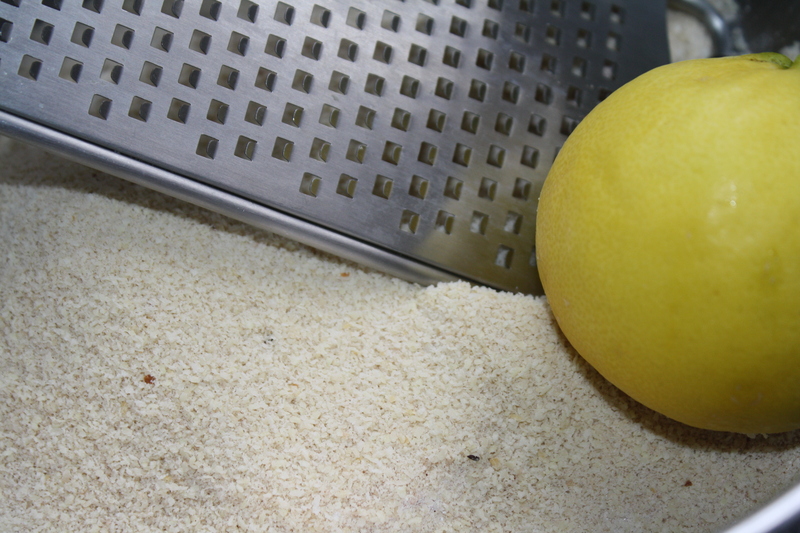 Add the lemon zest. 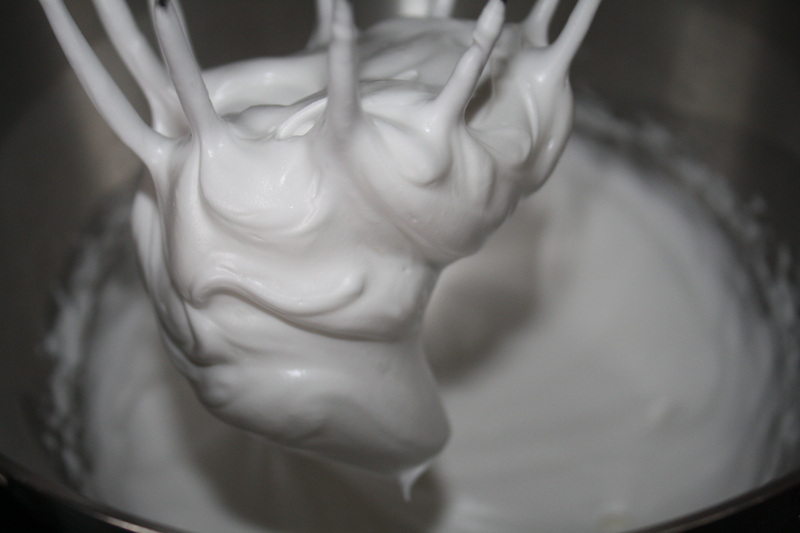 In a small bowl whisk the egg whites with an electric beater (or in your Kenny) until soft peak stage. Add the remainder of the caster sugar and beat until the sugar has dissolved and mixture is thick and glossy. 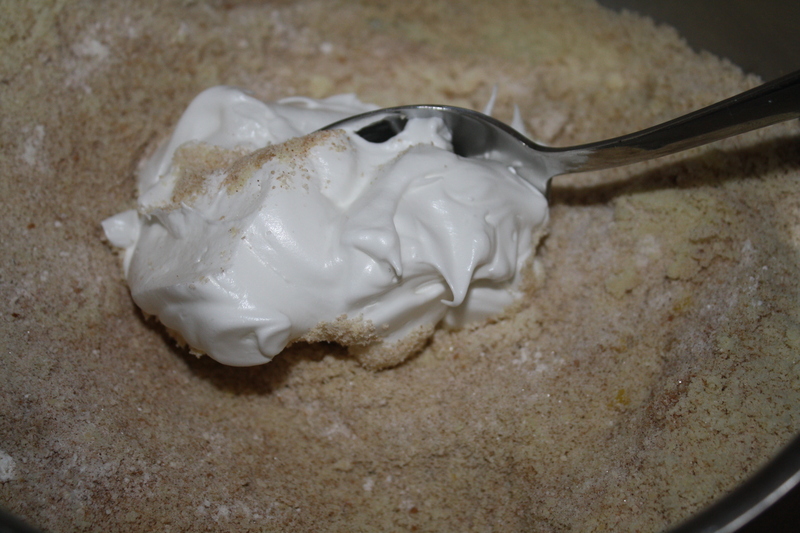 Use a metal spoon to fold the egg white into the dry ingredients. I do this in two batches. It will form a soft dough (which, by the way, is divine tasting before you cook it!). Using two teaspoons, roll just over a teaspoon full on to the prepared tray. Try to make them about the same size, but it doesn’t matter if they take on a ‘rustic’ look. I prefer this to completely uniform. Set aside for at least 40 minutes – I usually put them to one side for about an hour. Turn oven to 180°C 15 minutes before you are planning to cook them. 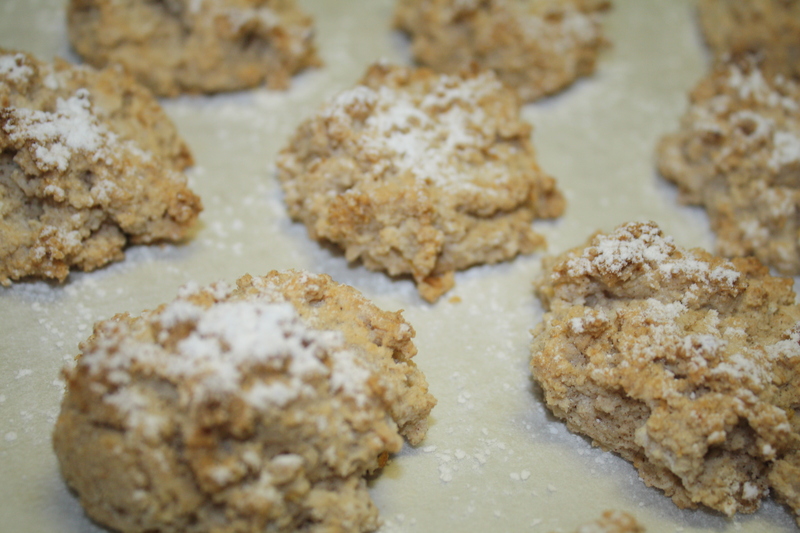 Dust each biscuit with sifted icing sugar just before you put them in the oven. So, there you have it. Simple, versatile and tasty. Not unlike macaron, but quicker and less fussy to make. Next time you’re tempted to judge a book by its cover, think again. You could be missing out on a gem. I have never seen anything like this but am glad they are beautiful on the inside. I would love to try them!